As Coolest Projects International 2018 fast approaches, we are continuing to share inspiring stories from participants of last year’s event. This week, Kavi tells us about her awesome project and recalls her Coolest Projects journey. 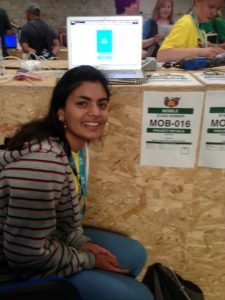 Kavi is a member of Tiburon CoderDojo @ BelTib Library in California, and she was 15 years old at the time of Coolest Projects 2017. Kavi didn’t stop there; she continued to prototype and develop, using research gathered from her peers to further improve her design, “it was ideal because they were my target demographic and their opinion helped progress the app to where it is today.” Peer learning, collaboration and the sharing of knowledge are all core aspects of the CoderDojo ethos, as the development of Kavi’s project shows us. 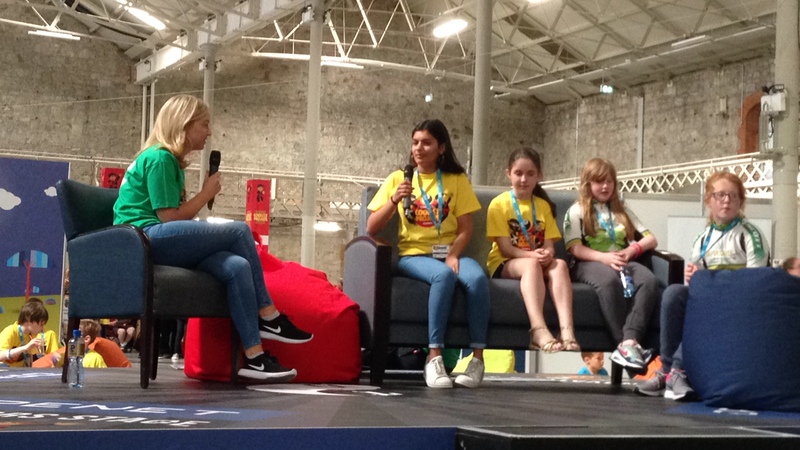 Kavi highlighted how Coolest Projects is a truly international event, and an opportunity to meet fellow CoderDojo members from all over the world; “at the event itself, I loved meeting all the other attendees and sharing projects. 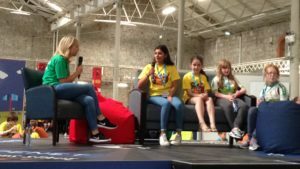 In the USA, I have only ever worked with the kids at my Dojo so it was unique to see international Dojos come together in one collective event.” One of Kavi’s favourite moments from the day was when she met Reece Smyth, who is Chargé d’Affaires at the US Embassy in Ireland. 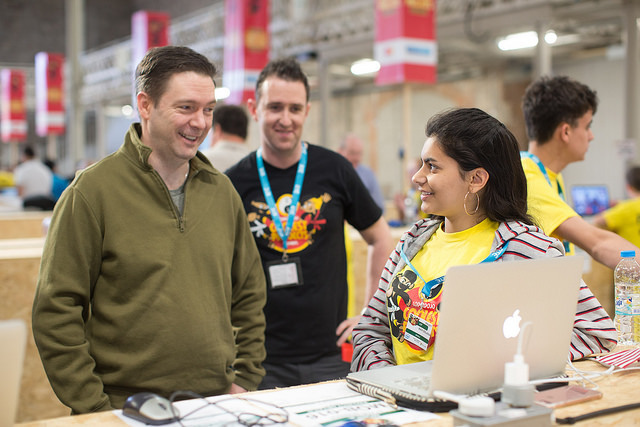 Attend Coolest Projects International 2018! If you have been inspired by Kavi you can attend Coolest Projects International in Dublin this May yourself here. This year, Coolest Projects is also coming to the UK for an exciting UK event, book your free ticket here.